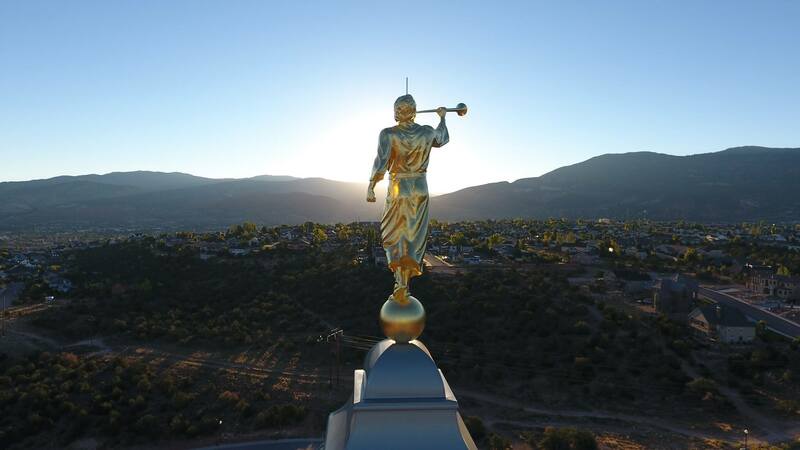 The angel Moroni statue was placed on the Cedar City LDS Temple on September 15, 2016. Click photo to see it full size. Photo courtesy Travis D.